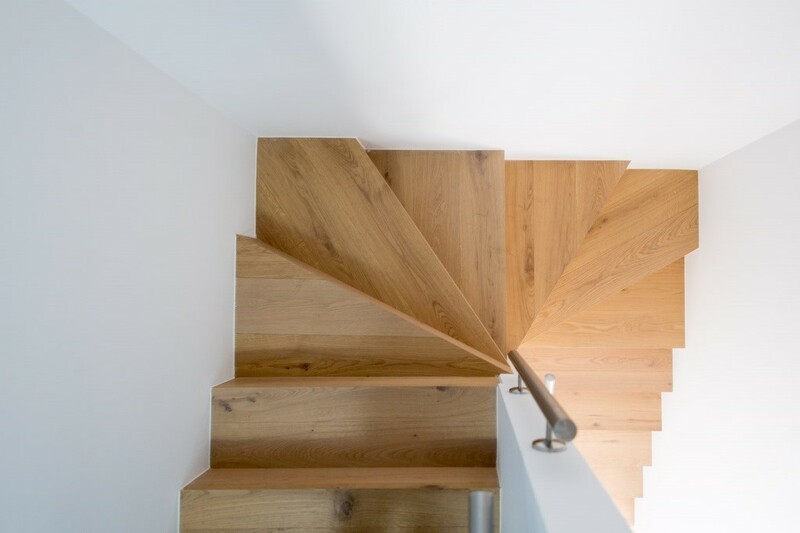 Staircases are traditionally created using timber hardwood, however there are a number of reasons why it is not only possibly but also beneficial to create staircases using engineered timber. By using engineered timber throughout your project, you can ensure colour consistency of the timber. 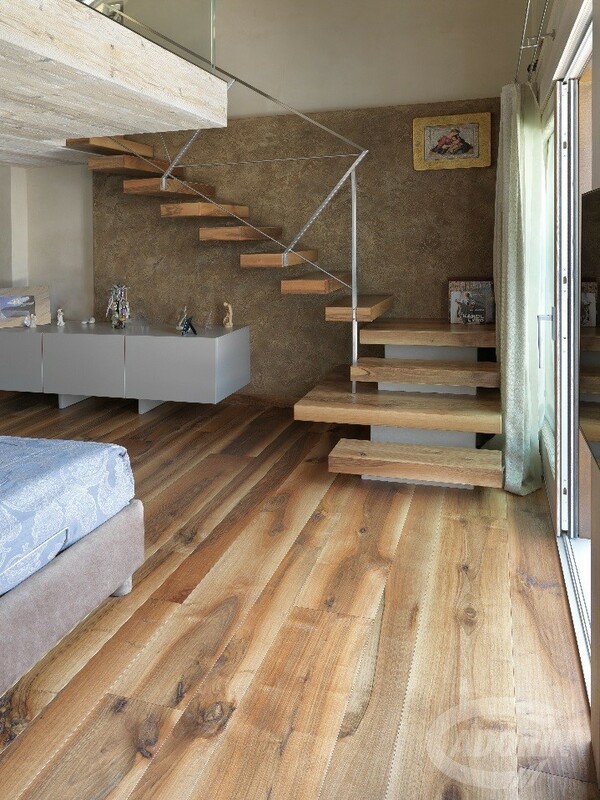 Often what happens is that engineered timber is used for the flooring and hardwood is using for staircases, which results in a mismatch of colours. While you can stain the colours to match as closely as possible, nothing will ensure an exact match like using engineered timbers for both the floor and the staircases. 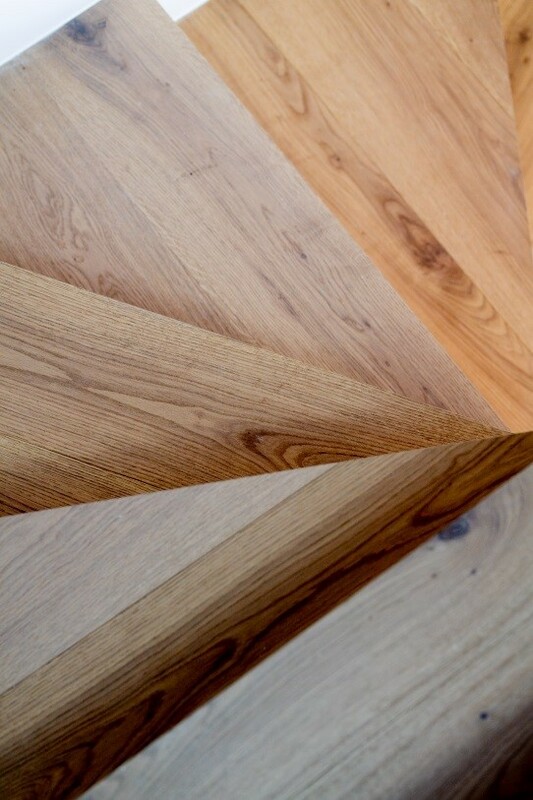 One of the great things about engineered timber and our service is that we can customise our planks to be any colour. For one of our recent projects at Edmondson Park, we customised two new colours for the architect to match their chosen colour scheme. 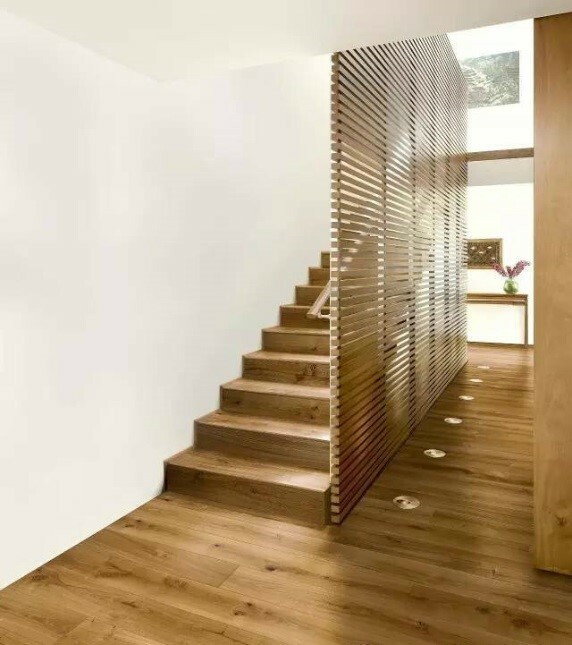 One style of staircase that is surprisingly possible with engineered timber is the open tread staircase. Today, just about anything that can be done with solid timber can be achieved with engineered timber. 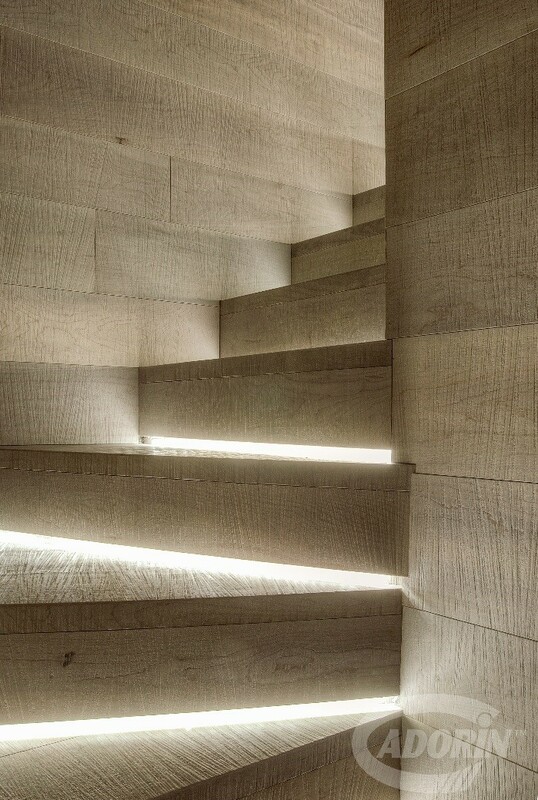 One of our recent projects in Erskineville required open tread, frameless staircases using our engineered timber. Not only were we able to achieve these technically complex staircases, the finished result looks fantastic. 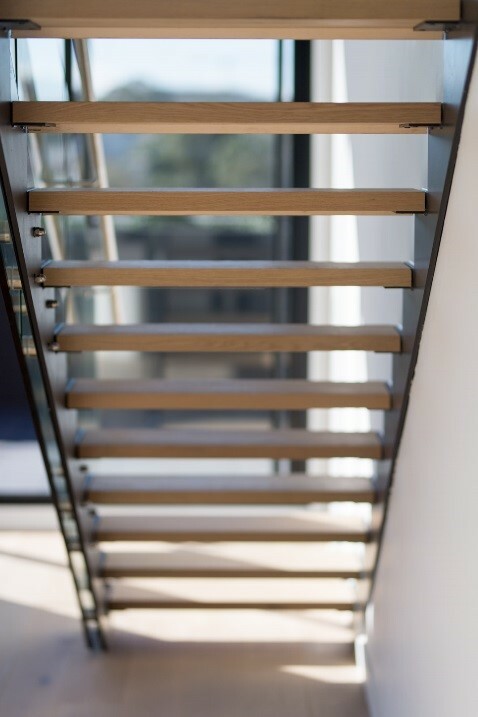 As engineered timber is made up of cross plywood, to achieve stairs like in our recent Erskineville project, it is necessary to use all mitre cuts to make each stair tread. This job requires very precise cutting and installation in order to achieve the finishes. One of the things that we take pride in is our high level of attention to detail and our commitment to go above and beyond for each of our customers. 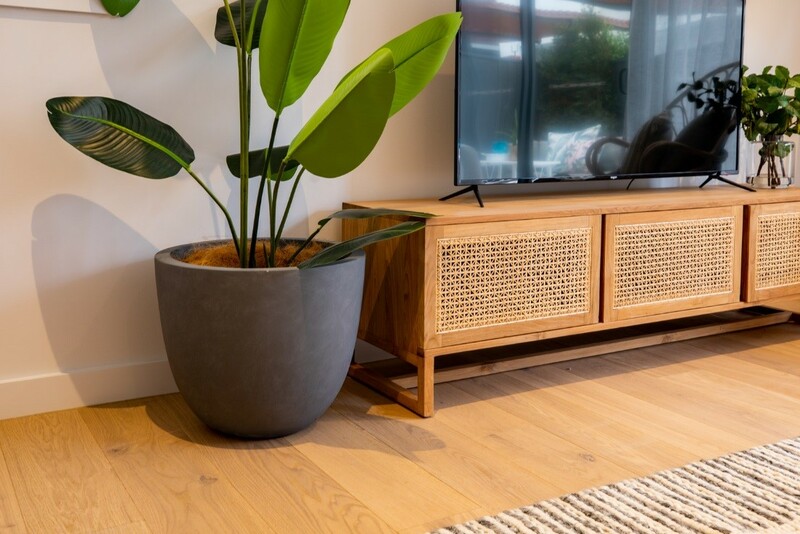 For more stair options, we have recently partnered with 100% Italian made timber manufacturer, Cadorin, to bring Australian designers and developers beautiful quality Italian timber. Cadorin has been expertly created by the one family for over 100 years and not only are their products 100% Italian made, they are also environmentally friendly.